Despite claiming a 4-0 win over Nigeria’s Aruna Quadri in the third round of the men’s singles at the 2019 ITTF World Championships in Budapest, Hungary, world number one – China’s Fan Zhendong has said that the African star forehand cannot be underestimated as he gave a good fight in the encounter. Panellists, participants at the Digital Rights and Inclusion Forum 2019 Wednesday decried at the growing marginalisation of Africans in information accessibility in the digital space. Sudanese protest leaders Wednesday mounted pressure on the country’s military council by calling for a million people to march to demand power be handed over to a civilian administration. Authorities in Tanzania have advised people in southern coastal regions to move to safer ground ahead of the expected arrival of a cyclone. Dr Anwar Moghith, Director, National Center for Translation, Egypt, has called for reforms in educational and cultural sectors in Africa to boost efforts aimed at combating terrorism in the continent. Former Nigeria youth international Emmanuel Babayaro has cautioned the Golden Eaglets over complacency ahead of their semi-final clash against Guinea at the Africa U17 Cup of Nations. After Morocco lost the bid to host the 2021 ITTF World Championships to United States, President of ITTF, Thomas Weikert believes can still bid in future for the biggest table tennis tournament in the world. Two-time champions Nigeria and West African rivals Guinea will clash at the National Stadium, Dar es Salaam this afternoon in what is a much-anticipated first semi final of the ongoing Africa U17 Cup of Nations. A tropical system off Mozambique threatens to unleash a cyclone on the northern Cabo Delgado province just weeks after the country’s central parts were ravaged by a powerful storm, meteorologists warned Tuesday. African leaders meeting in Cairo agreed to give Sudan’s ruling military council more time to implement democratic reforms, Egypt’s President Abdel-Fattah al-Sisi on Tuesday said. 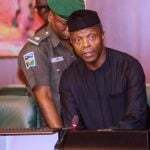 Vice President Yemi Osinbajo has presided over the Federal Executive Council (FEC) meeting at the Presidential Villa, Abuja, as the deadline given to cabinet members for submission of handover notes expires. 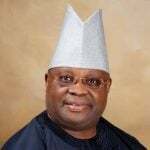 The hearing of appeal filed by Sen. Ademola Adekele, PDP Candidate for Osun State in the September 2018 governorship election was on Thursday stalled in Court of Appeal, Abuja on account of improper service. 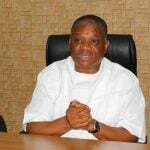 The Court of Appeal has dismissed the no-case submission filed by a former Abia State Governor, Orji Uzor Kalu, in response to the N7.65bn fraud charges filed against him by the Economic and Financial Crimes Commission (EFCC). 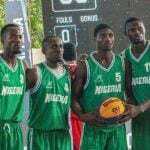 Nigeria’s 3×3 men basketball team will play no part at the FIBA 3×3 World Cup Qualifiers 2019 in San Juan, Puerto Rico after they pulled out of the competition due to visa issues. Andy Murray is “cautiously optimistic” he will be able to play tennis again this season after successfully undergoing hip surgery, his mother Judy has said. 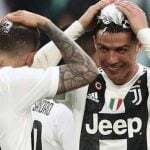 Kylian Mbappe scored a hat-trick as Paris St-Germain celebrated winning Ligue 1 by beating Monaco on a day of tributes to Notre Dame cathedral. 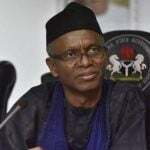 The effected institutions included Ogun State College of Health Technology, Ilese-Ijebu; Gateway Polytechnic, Igbesa, and Tai Solarin College of Education, Omu-Ijebu. 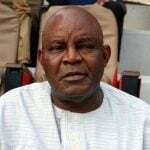 Governor Ifeanyi Ugwuanyi of Enugu State has directed the immediate employment of Emeka Chukwu, the first son of ailing former Super Eagles coach, Christian Chukwu.